From Star Trek’s Starship Enterprise, we move on the other sci-fi/pop cultural realm of Star Wars. 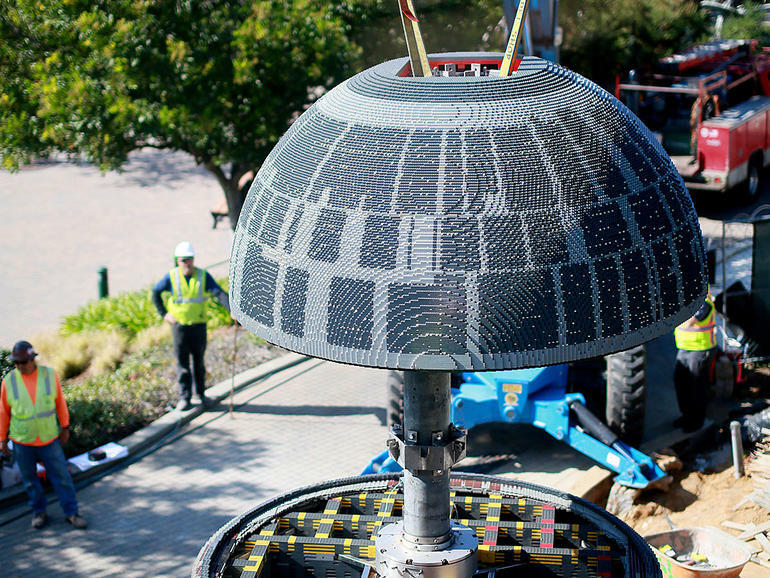 And this time around, size does matter – as is evident from the behemoth 13-ft high LEGO Death Star under construction at the Legoland. 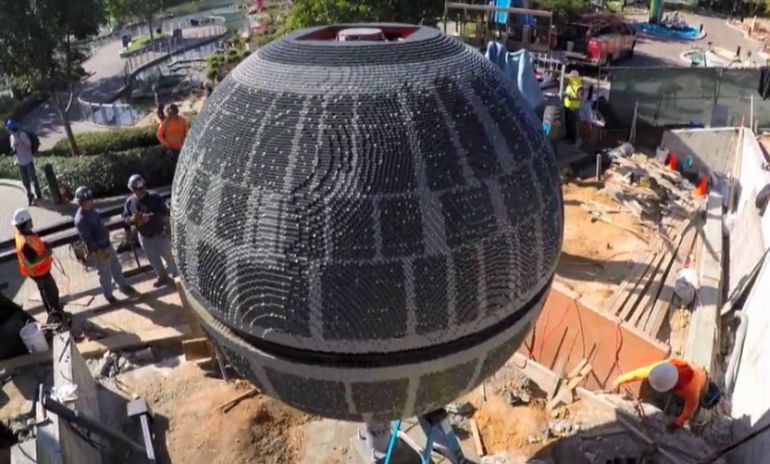 Suffice it to say, this was no mere DIY endeavor – rather, professional LEGO builders have gone to the ‘dark side’ and created the hulking 1,900-lb specimen from over a whopping 500,000 LEGO bricks. In terms of exact dimensions, the Star Wars LEGO contrivance is 13 ft high and 8 ft wide, thus accounting for a substantial 104 sq ft area (which is less than half the size of the world’s smallest residence). 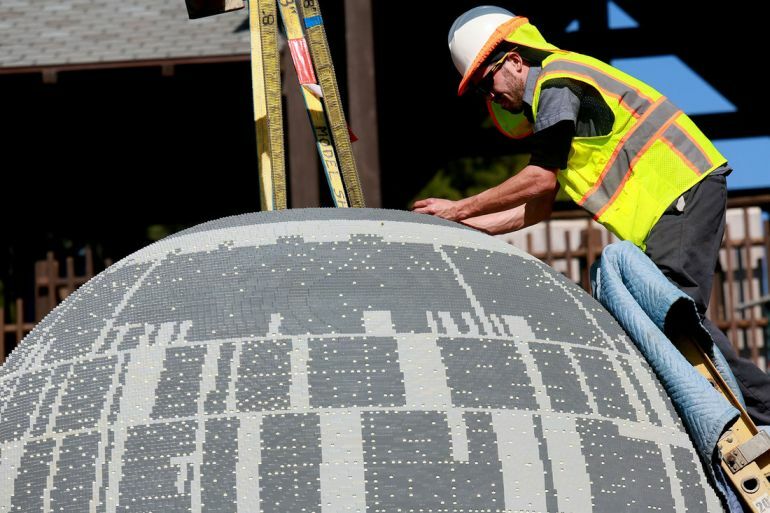 As a matter of fact, the gargantuan LEGO Death Star is the largest model in the Star Wars-inspired Miniland (inside Legoland), a dedicated themed space that also boasts of the Theed Palace, Endor, and Hoth. On account of all these boastful features, it shouldn’t come as much of a surprise that the entire structure was built by using actual forklifts and intricate planning. 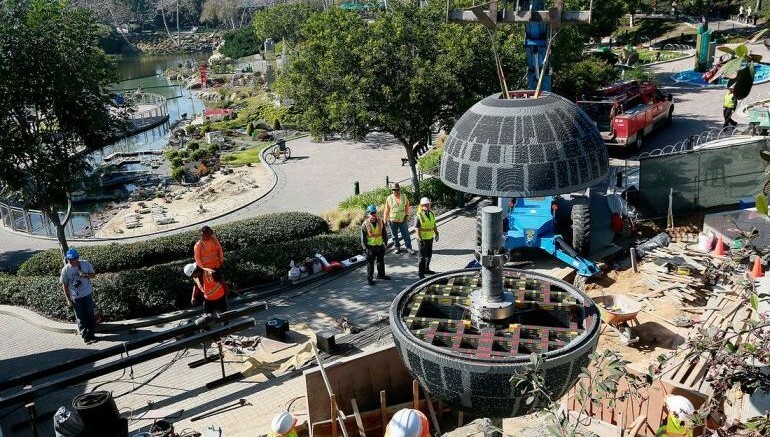 And, in case you are wondering, the Star Wars LEGO Death Star will be officially unveiled on 5th March, to ceremoniously mark the commencement of the Legoland California’s Star Wars Days event.